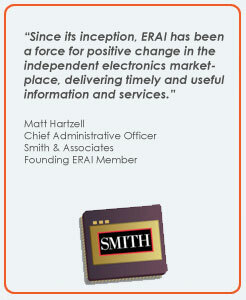 For the past twenty years, ERAI has been the leader in providing services enabling companies in the electronics supply chain to perform industry-specific risk mitigation on suspect counterfeit and non-conforming parts and identify problematic suppliers and customers. As an added benefit, Members receive exclusive data reports, multi-media training opportunities, and the chance to expand their network to a global reach of companies united together to reduce losses and promote more effective business practices. Reporting a part nonconformance or suspect counterfeit part or problematic supplier or customer is free of charge to any company in the supply chain of electronics through our Report a Part feature. To learn more about ERAI’s different services, please click on each service description on the left.